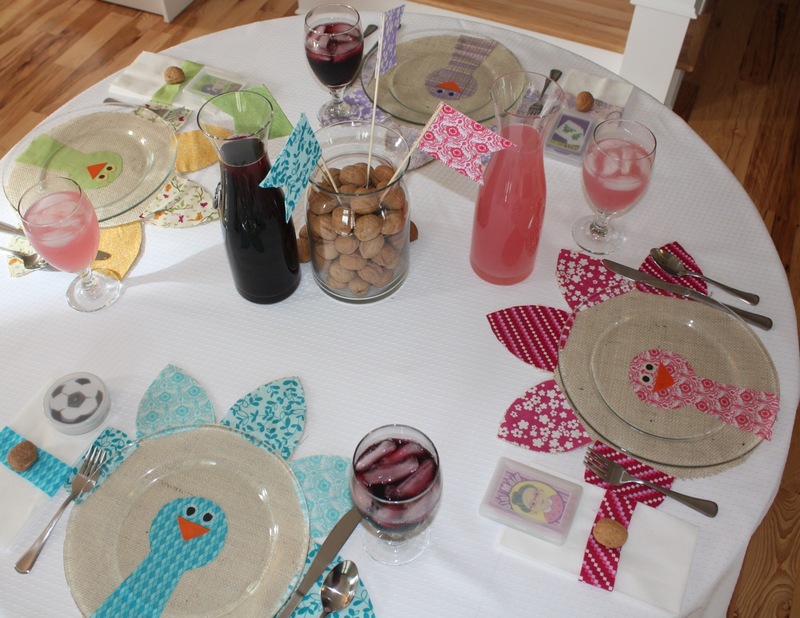 On Thursday, our kids table will be filled with four young ladies. Three of the girls are our good friends and neighbors. The fourth is my 19 month old daughter. 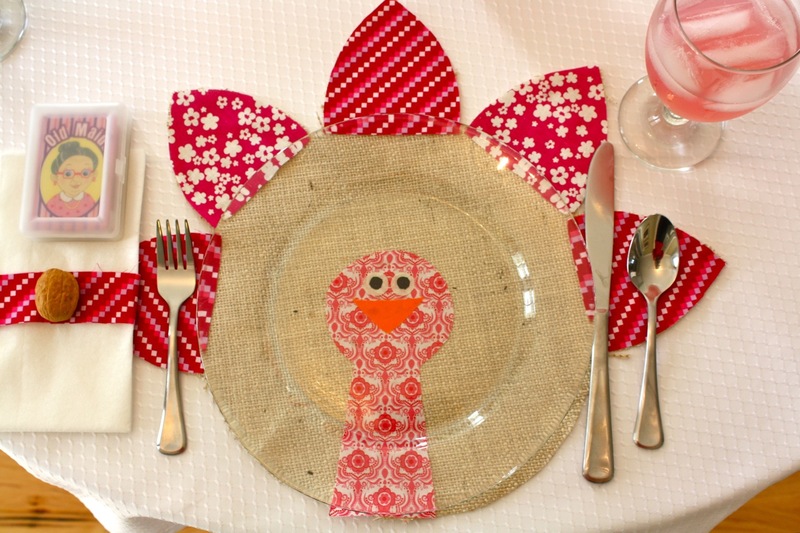 Since they all are VIP’s in my world, I wanted to do something fun for their Thanksgiving table. 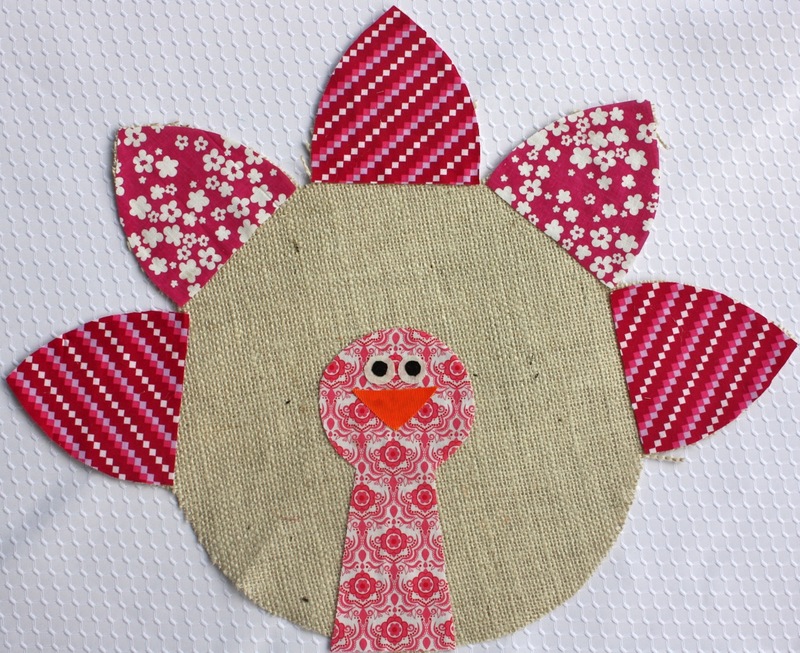 At first, I couldn’t get these adorable owls from Rock Scissor Paper out of my head. 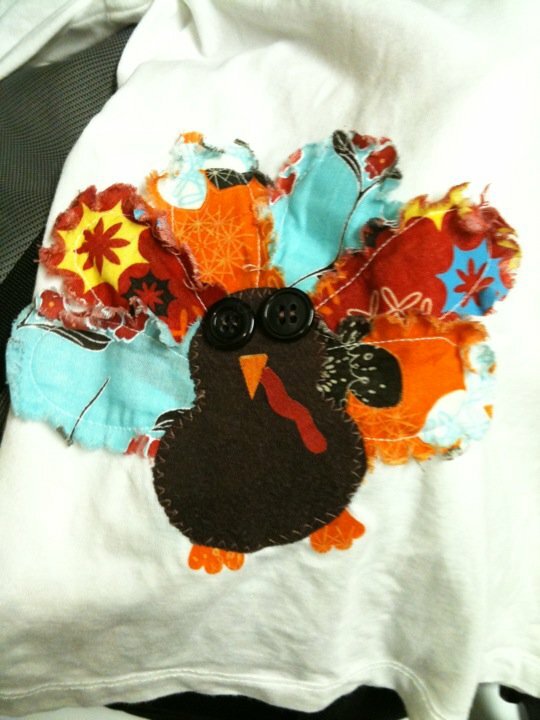 Then, I saw these cute turkey shirts from my friend Christy Wing. They are available through her store, the Shining Wings Boutique. Of course! Turkey. It is Thanksgiving after all. 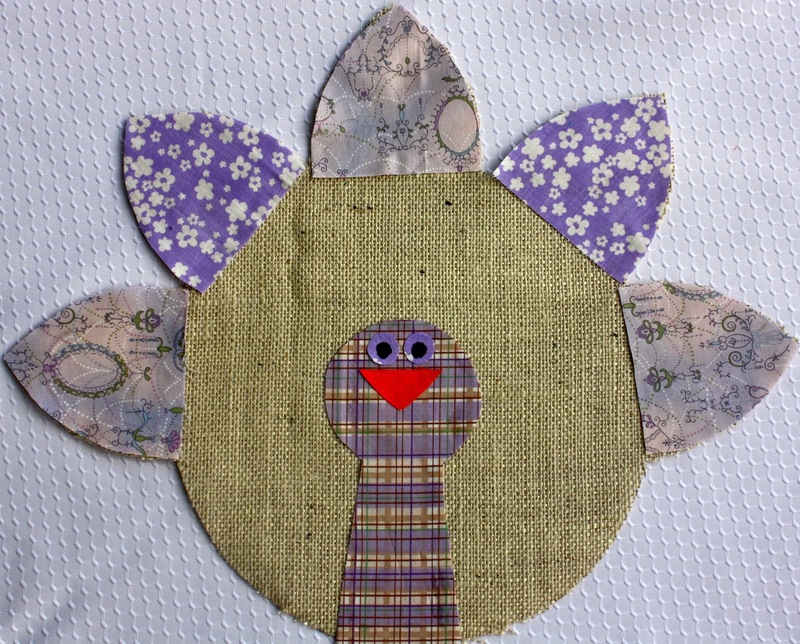 With those two images in mind, I made turkey placemats using each one of the girl’s favorite colors. The youngest is Pretty in Pink. The middle daughter’s favorite color is purple. She even has purple glasses which I must tell you, are fabulous. The oldest daughter loves blue. 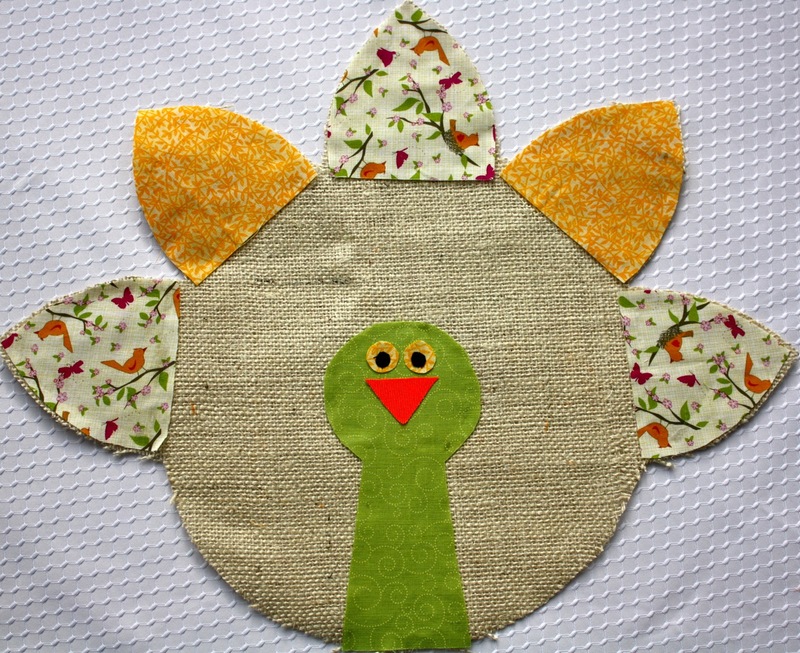 And my daughter doesn’t have a favorite color yet, so I picked her pattens in yellow and green. 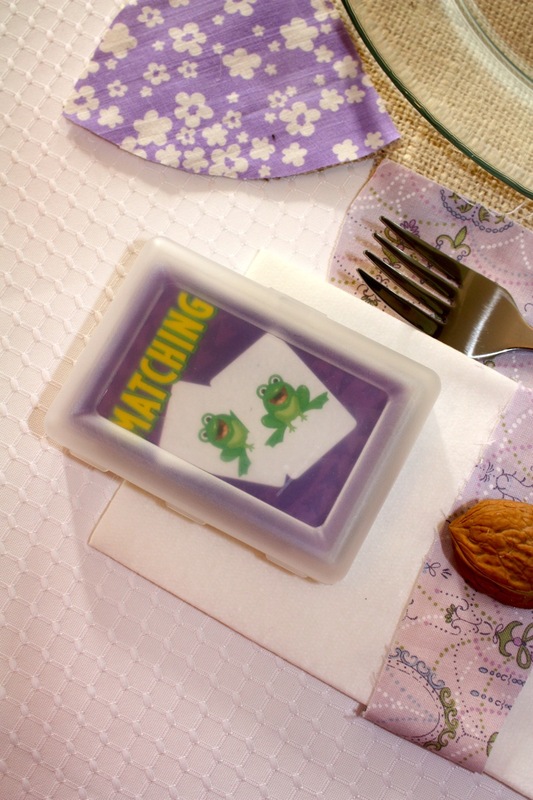 Each girl will have a different deck of cards to keep them entertained. 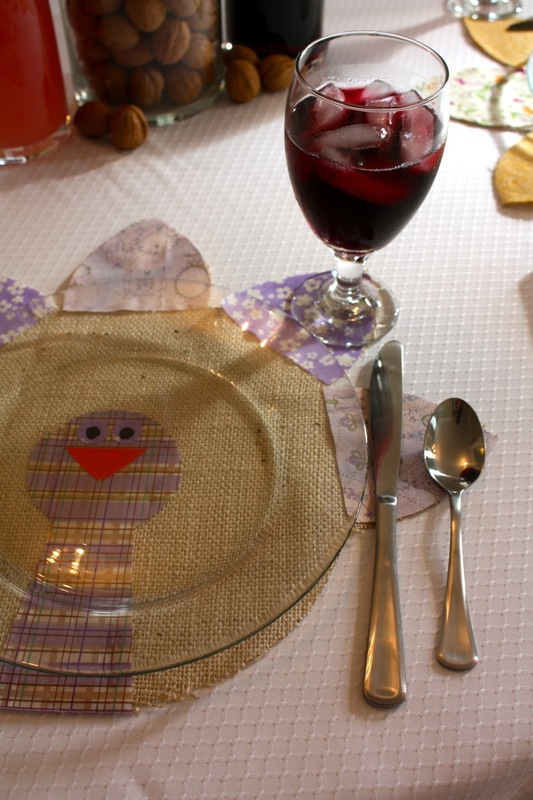 The full place setting looks like this. 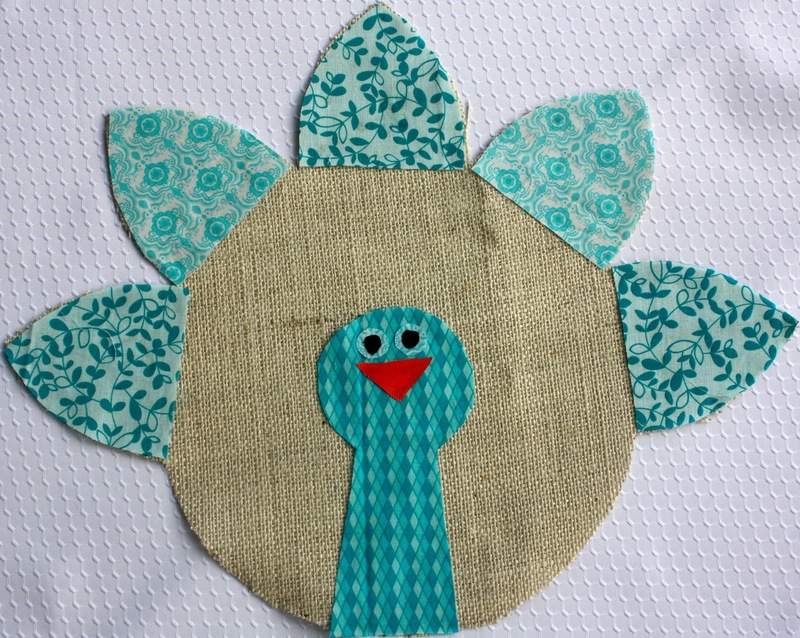 Ready for mashed potatoes! 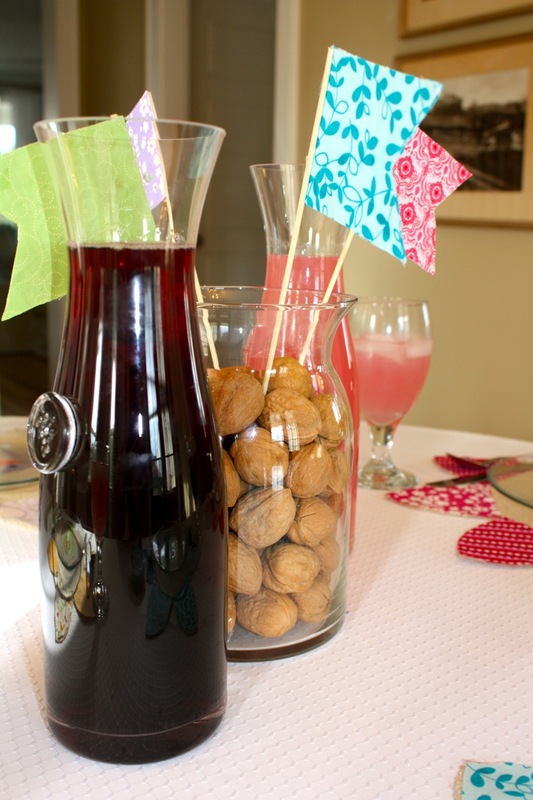 I added a centerpiece with walnuts and a flag in each color. The final table ended up looking like this. I hope the girls enjoy it! How is your Thanksgiving planning going? Are you packing up for a trip? Vacuuming the guest room? Today I’ll be trying to beat the crowds at the grocery store. Let’s hope there’s a nice bird waiting for me. This is such a great idea. So, so cute. Thanks for sharing! Thank you Laura! I’m so pleased to hear you liked it. This is adorable! I bet they’ll love it! Thank you Brandi! I think they will too…we’ll find out soon enough!